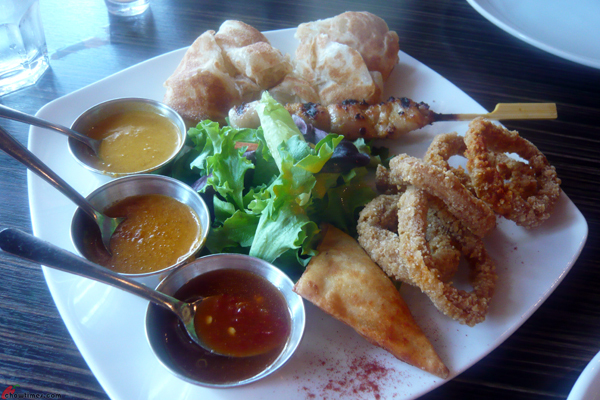 Nanzaro and I went out for lunch on a Saturday afternoon. Arkensen wanted to catch his favourite Dr. Who show; so he asked us to bring salted fish chicken fried rice from the Richmond Public Market for him. 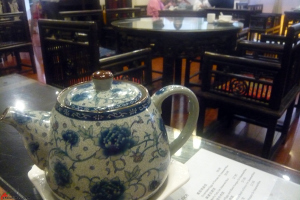 I had wanted to come here for the Mala Xiang Guo for a long time since Fmed blogged about it. 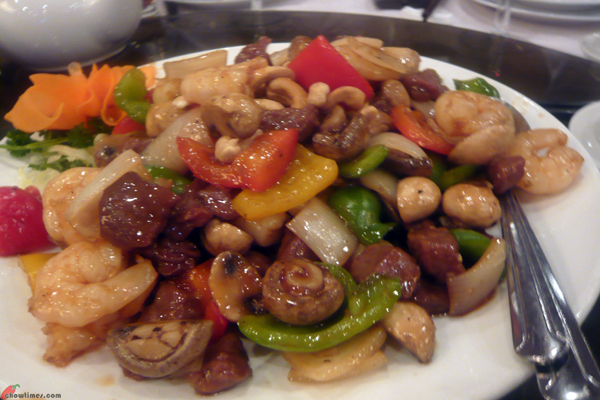 The Northern Chinese Cuisine had been here for a least a year. Parking is at rear with marking for customers of 8188. 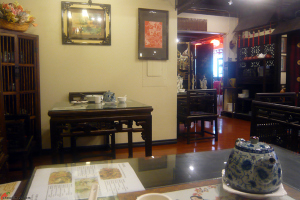 I like the traditional Chinese decoration of this restaurant. 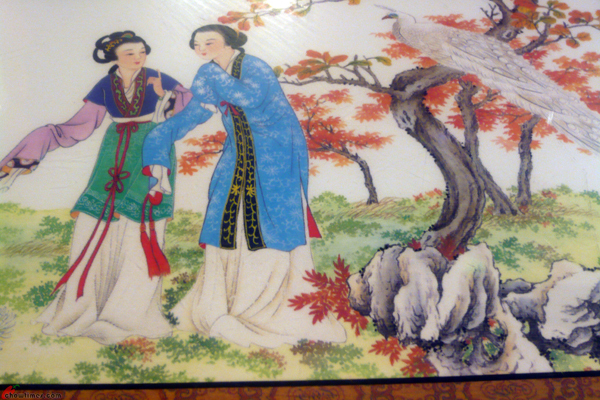 The above is a table decor under the glass. Arkensen does not have class on Friday. So, he will ask me to bring home lunch for him after my cake meet with Polly. 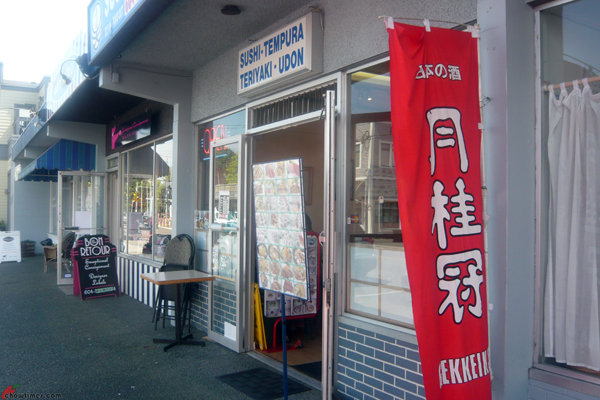 Since I was in Steveston Village, I got him sushi from Sushi Ten. 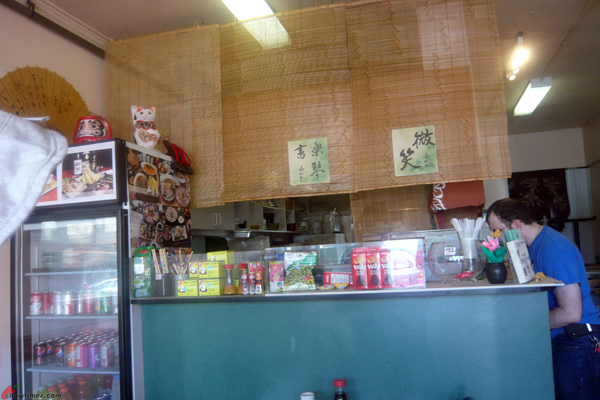 It’s a small restaurant and customer orders from the counter. 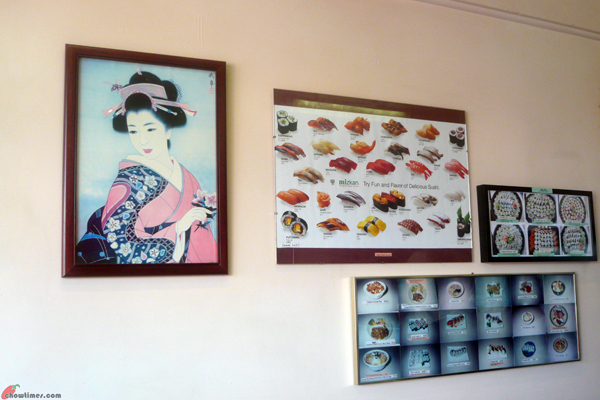 Sushi Ten is decorated with some traditional Japanese artwork and colour menu on the wall. 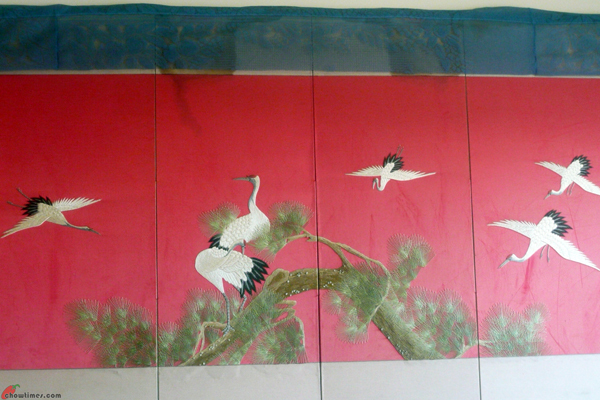 A Red Crown Crane or Japanese Crane Poster decorated another wall. Paper crane is a popular Japanese origami. Polly and I celebrated Mother’s Day in advance. 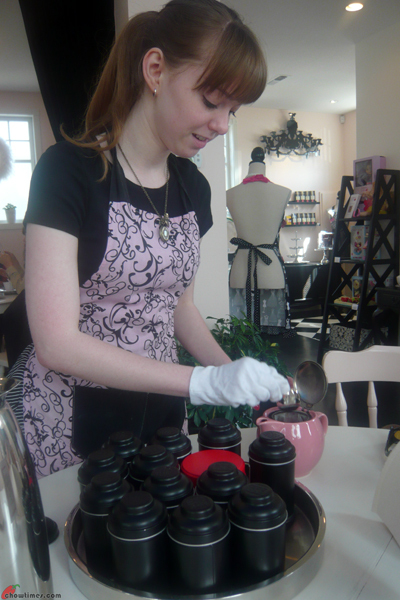 We went for high tea at Adorabelle Tea Room in Steveston. 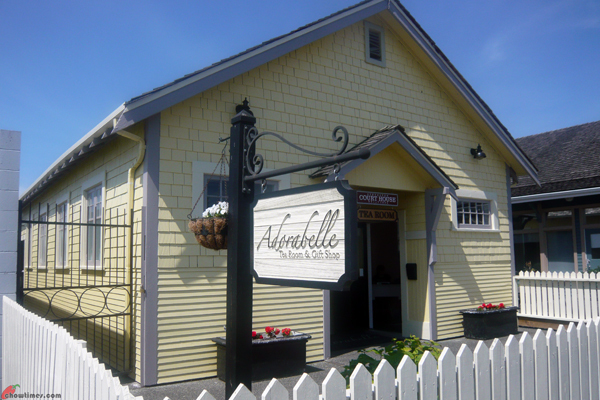 Please note that Adorabelle Tea Room is located at the old Steveston Court House. 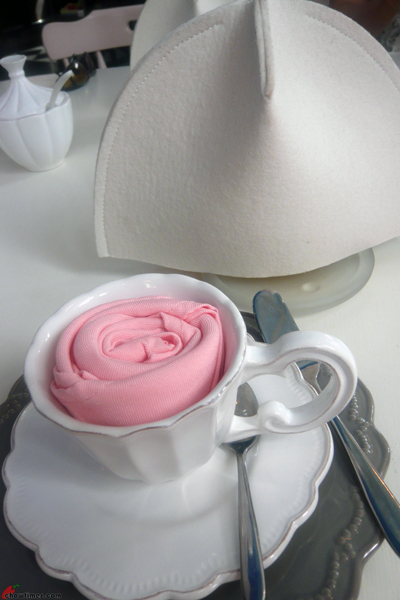 Pay parking is available at the parking lot adjacent to the tea room. Reservation is required. 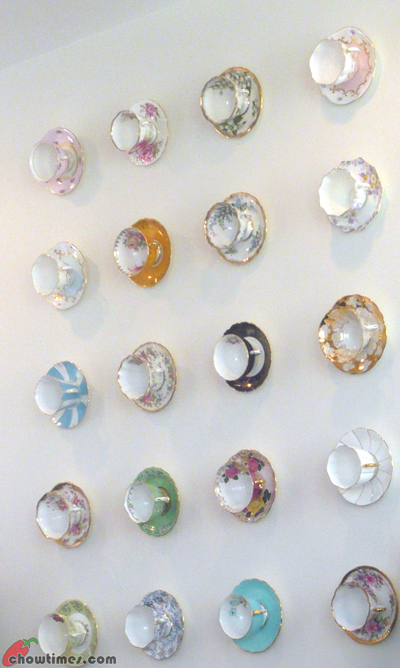 The teacups that decorated a wall are lovely. 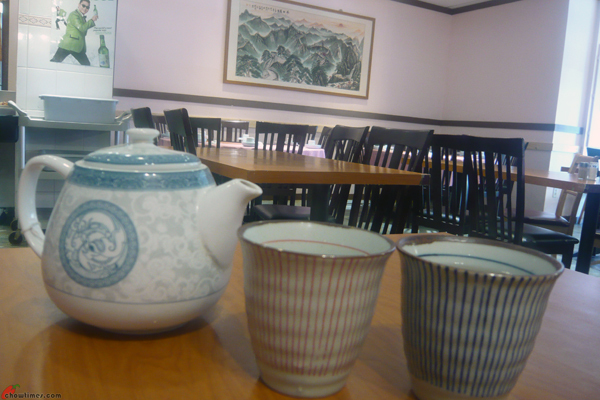 Each will get his/her individual teapot which is covered with a warmer at the back of the above photo. This article on the benefits of Mangoes was posted by a friend on facebook. Mango contains a sufficient quantity of fiber, which causes slow absorption of sugar into the blood stream; helps reducing appetite, maintain blood sugar levels resulting in controlling body weight. When the fiber passes through intestines it also eliminates a number of harmful fats of the body. 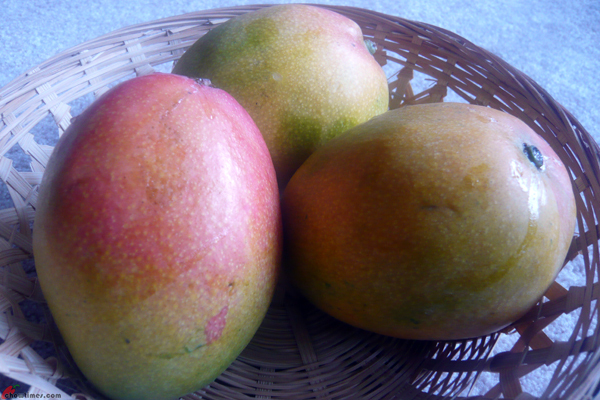 Mango is also valuable to combat acidity and poor digestion. I had to pick up my passport from the Chinese Visa Office on W. Broadway. 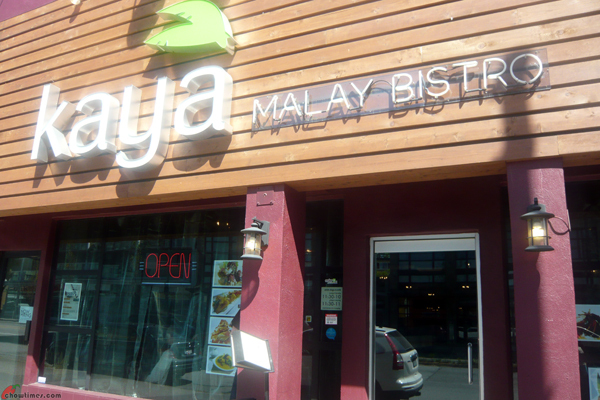 I took the opportunity to have lunch at Kaya Malay Bistro just a few doors a way. I invited Lorna to join me as she loves Malaysian food too. Kaya is a Malay word which means rich. It is also the Malay name for coconut jam. 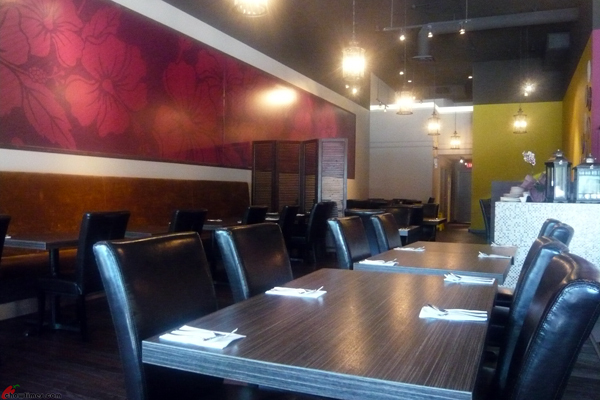 The restaurant was spacious. Hibiscus which is the national flower of Malaysia decorated the wall. We were there just before noon and the restaurant was not busy yet. 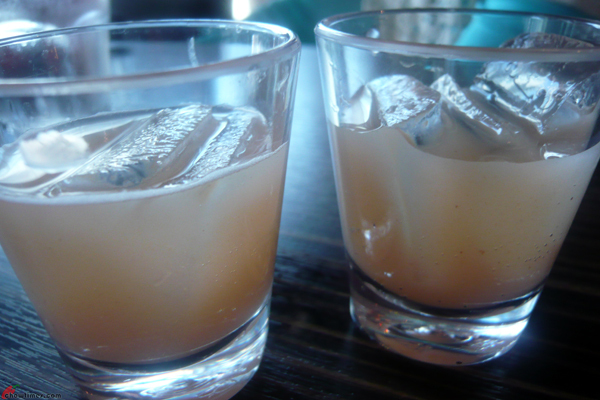 The server brought a sampler of guava soda for us to try. Lorna invited me to another Mother’s Day Celebration dinner. This time, it’s organized by a church and it also to celebrate the launch of a radio program on AM1470. 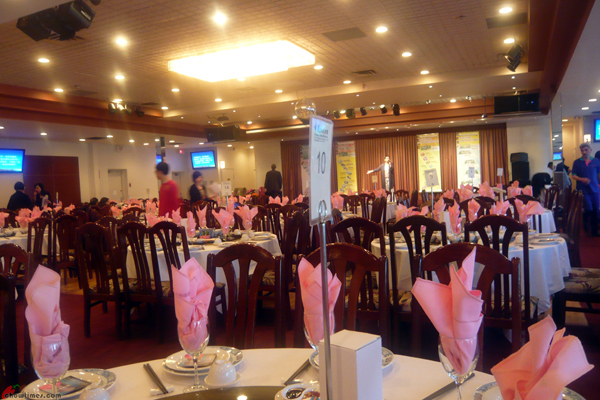 The function was held at Continental Seafood Restaurant for 30 tables of guests. What a great turnout. 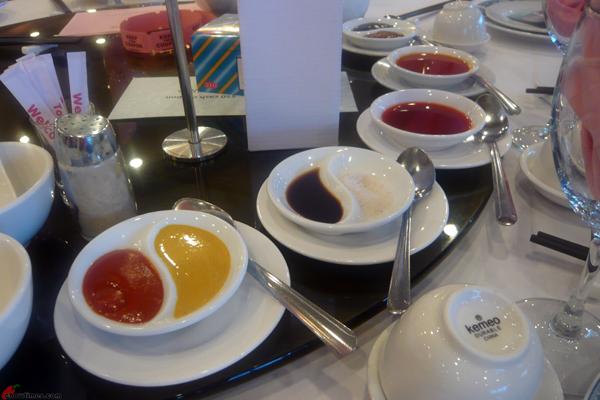 Sauces to go with the various dishes. 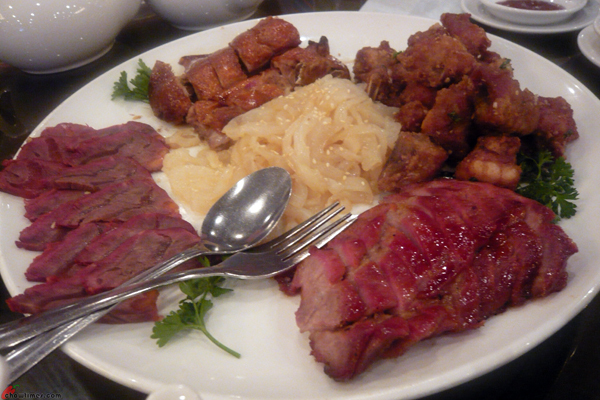 The first course was a cold cut appetizers comprised of BBQ pork, another version of cold cut meat; deep fried pork ribs and BBQ duck. In the center was jelly fish. 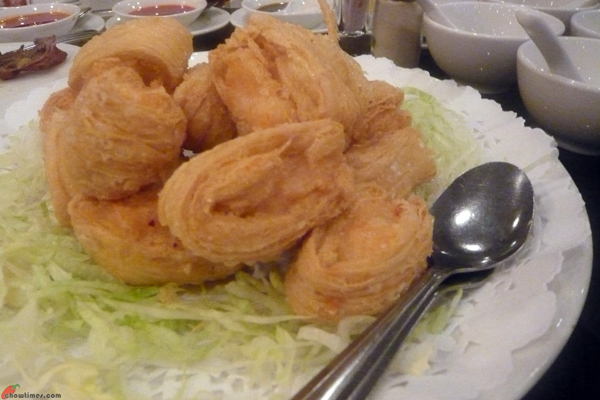 The second dish was Deep Fried Prawns Wrapped in Bean Curd Skin. They were crispy and go well with a sweet chili sauce. Michelle loves to roast vegetables like cauliflower, kale, green bean, etc as the high heat and short cooking time brings out the caramelization and yet retain the nutrition. 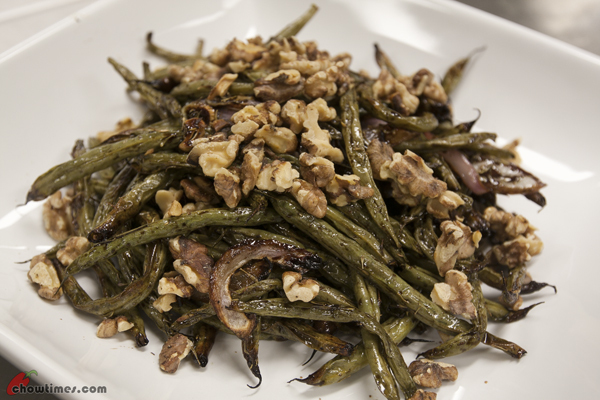 Michelle shared the above Roasted Green Beans with Red Onion and Walnuts in the South Arm Older Adults Kitchen. 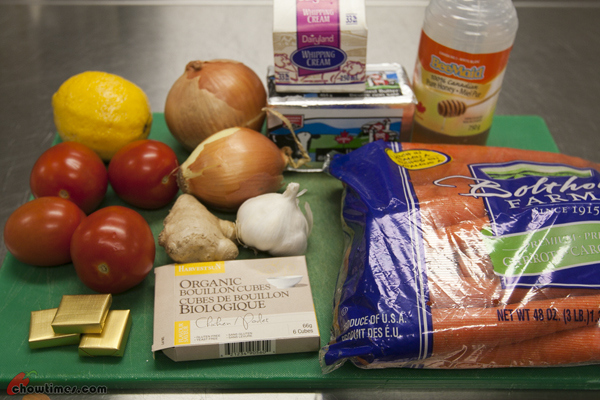 The South Arm Older Adults Kitchen is back in action. 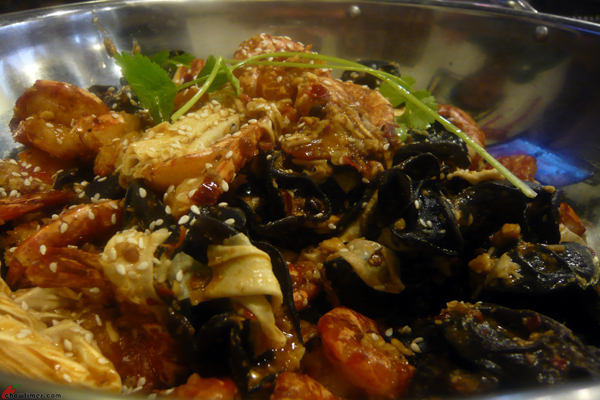 For this kitchen, Michelle revisited a couple of the best recipes due to popular demand. 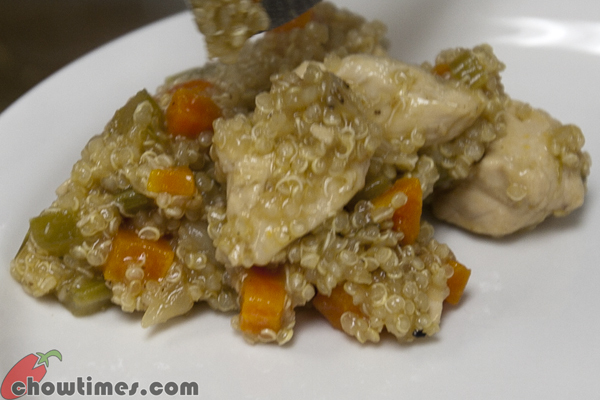 One of the recipe is Smothered Chicken in Quinoa. This is a high fiber and high protein meal in a pot. This is a recipe which freezes well. 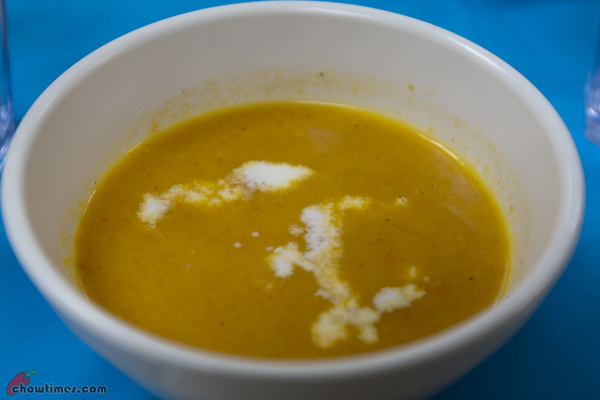 Michelle also shared her family favourite Carrot Ginger Soup for this session. This is also a recipe which freezes well. It also tastes better the next day. 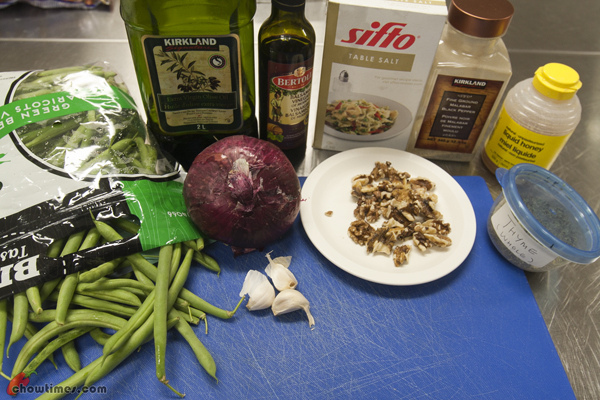 You may double the recipe by just doubling the ingredients. Weekend Musings: Dark Spots on Banana are good for you! Here is another email from a friend. 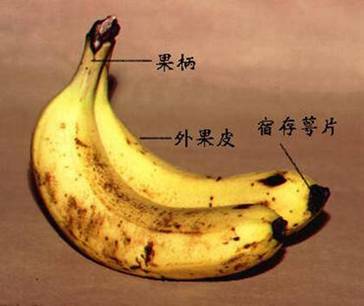 It’s about banana with dark spots. I often used over ripen bananas with dark spots for baking banana bread. Now, there is more reason to use them. 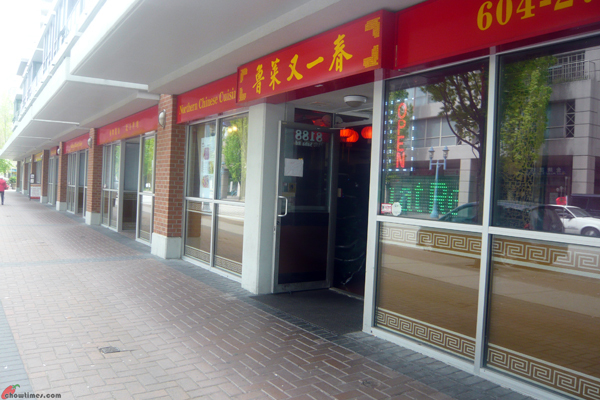 Updated: 20 Sep 2014: This restaurant is closed. I was watching a recorded Anthony Bourdain Parts Unknown show broadcasted on CNN channels earlier. It was an episode on Korea town in Los Angeles. 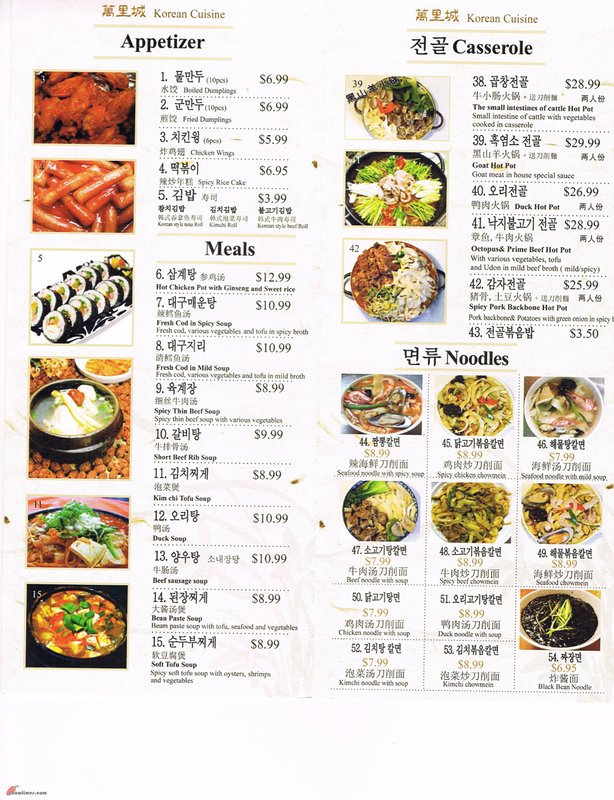 That show made me yearning for Korean food. 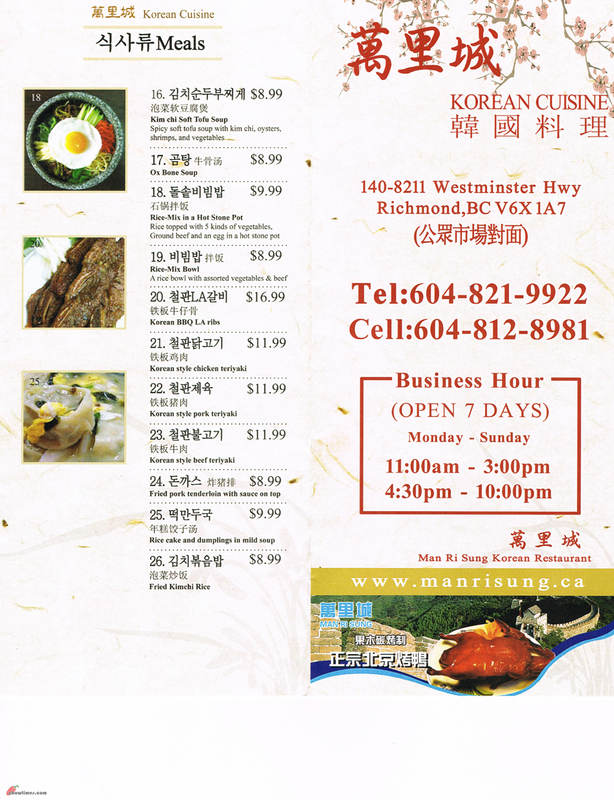 So, Nanzaro and I went to Man Ri Sung in Richmond to have a Korean food fix. 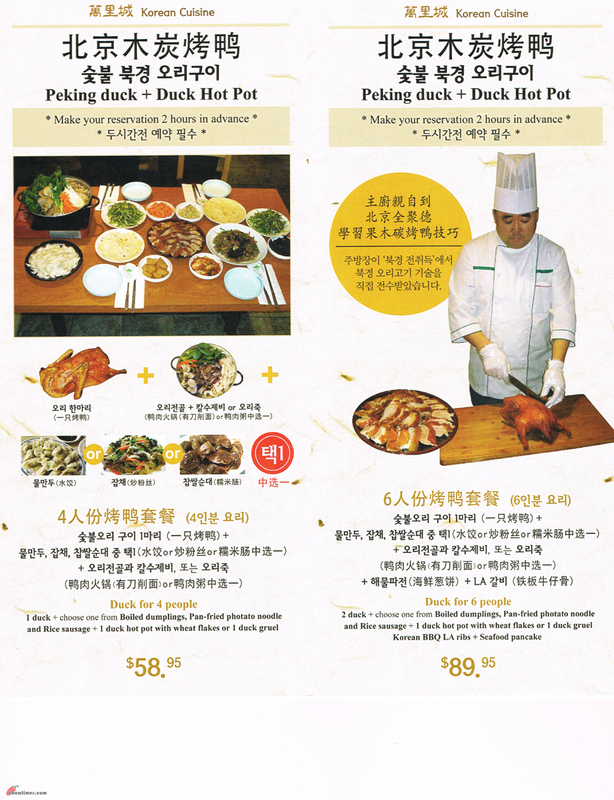 Arkensen did not come along because he was having a BBQ with his friends since it was a summer like spring day. 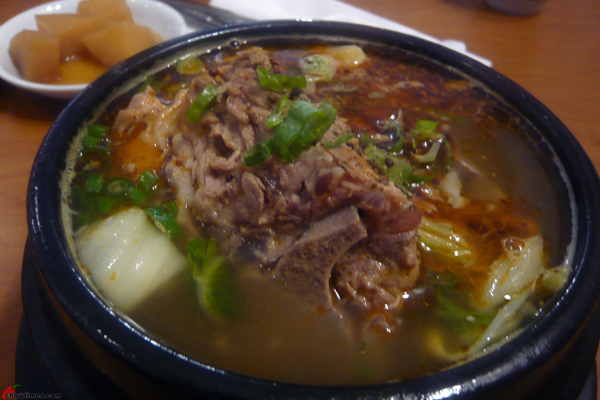 I had the lunch special Potato & Pork Rib Soup. There were soy bean sprouts in my soup beside potatoes. The soup was a little spicy. 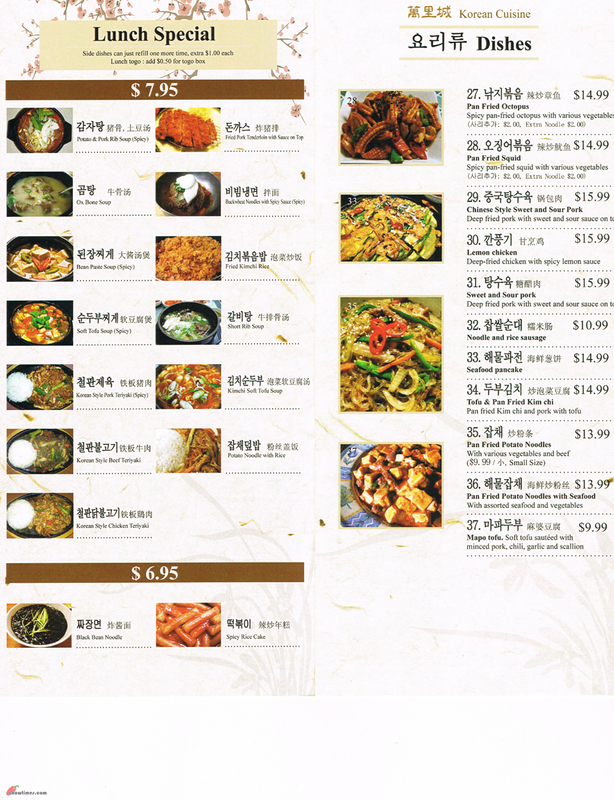 The lunch specials are $7.95.